I have put together a list of things to do with your family in April in Dublin and surrounding areas. I find sometimes when you are looking for things to do you totally forget what is on so this is a handy guide that you can keep coming back to. Some events are a little drive outside Dublin but I have linked all events so you can see where they are and what suits you best. Hope it gives you some ideas of things to do! 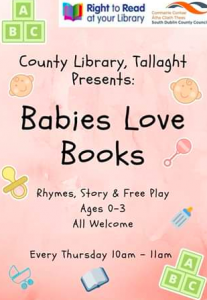 Join us in the library every Thursday at 10.00am for our Babies Love Books sessions. 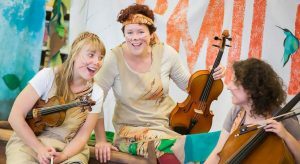 Come along for this free hour of songs, stories and play! All welcome. 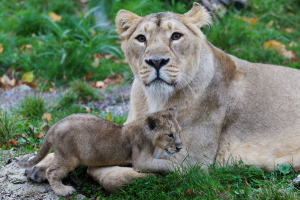 Join our Parent and Toddler mornings in Dublin Zoo where toddlers will get an opportunity to learn more about our wonderful wildlife through stories, crafts and visits to some of our habitats. Book early to secure your spot! Age: recommended for up to 3 year olds. Join us for fun spring time garden activities in the dedicated Children’s Erasmus Education Garden! 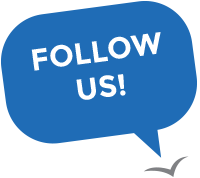 Check out our main Facebook page to find out the week’s activity in advance. oin us for a delightful performance of magical chamber music for little ears performed by three exceptional musicians. This NEW class is designed for enthusiastic gardeners aged 5-8! 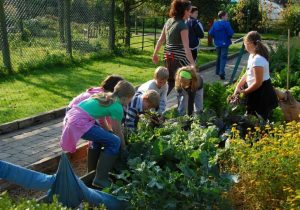 7th April: In our first workshop, children will tour the gardens of Airfield to learn about what’s growing at this time of year. They will learn about gardening routines and gardening tools and make their own mini terrarium to take home. 23rd June: In this workshop, our budding gardeners will learn how to identify herbs and other plants by sight, taste and smell. They will learn the culinary and medicinal uses of flowers and herbs and will make their own herbal infusion. 7th July: Bees and insects play a really important role in making sure we have delicious fruits and vegetables to eat. In this workshop, we will go into the garden to observe the world of bees, and learn how they make honey and why it is so important for us to protect them. We will also plant a bee-friendly flower to take home and hunt for bugs in the woodlands. 1st September: Most of the food we eat comes from the soil, so every aspiring gardener needs to know about the earth beneath our feet. In this workshop, we will investigate all things soil including carrying out a soil experiment and painting with soil. If you would like to book all 4 classes at a reduced rate of €95 (€85 for members) please phone us on 01 969 6666, select option 1. Calling all Parents and Tots! We all need a break from the chaos every now and then, and this EPIC Tiny Tots Tuesday, we’re taking a moment to relax with our little ones. Join Kathy from Bump Baby and Me for a fun and energetic yoga class, focusing on stretching, strengthening and balancing your body while connecting you to your breath and baby. Babies are natural little yogis so let’s encourage this along with entertaining them with some songs & rhymes too! Tea and coffee will also be provided by the lovely Bakehouse CHQ. Bring your baby’s essentials, some water and a mat if you have one (some spare mats will be available). Spaces are limited so early booking is advised! 1 Ticket includes entry for one baby and one accompanying adult. Kathy is the proud mum of two little girls and her third baby is her Pre & Postnatal Business Bump, Baby and Me! She teaches Pregnancy Yoga, Baby Massage, Postnatal Mum & Baby Yoga, and co-runs MumFit – a specialised Postnatal fitness class, based in her husbands gym, Performance Therapy Ireland. Kathy is also a Birth and Postpartum Doula and offers Antenatal & Postnatal consults to couples and parents nationwide. For more information or to get in touch with Kathy, visit www.bumpbabyandme.ie. Come visit the Easter Bunny @ Luggwoods again this year. Our Easter Egg Hunt is back From 13th -22nd April. Tickets on sale this Friday 8th March @ 9am. Keep an eye on our social media for a competition to win family passes. We are soo egg…cited here at Luggwoods. This year the Easter Train will be super EGGciting. Follow Little Red riding hood through the enchanted forest and help her find the mischievious Freddy Fox! ‘Forest Families’ is a new programme which takes place in our wonderful mini-forest called the Wild Space in Dublin Zoo. It is a fun hands-on family learning experience where you will discover lots about nature. Each session is different, so it is a good idea to come to all four, but individual sessions can be booked too. You and your little ones can learn about trees, biodiversity, pollinators and birds. Forest Families is open to families with children aged between 4 and 12. 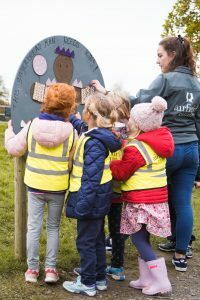 In each session you will have facilitation from an expert teacher, work from a bespoke family worksheet and have lots of follow up activities to do in your local park. In each session you will be given a set of resources to help you discover more in nature. or on an individual basis. 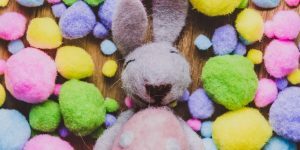 Airfield Estate’s Easter Camps are back for 2019 and are packed with exciting adventures! This Easter we have three camps, all of which will be hands-on and action-packed, with campers exploring, building, experimenting and investigating Airfield’s fields, farm and gardens. Our education team will guide campers through a very active and exciting week of getting their hands dirty and their boots muddy. NEW for 2019, is after-camp care which means your child is with camp at Airfield until 5.30pm. This afternoon part of the camp is essentially a continuation of camp activities and could include forest skills, cooking, crafts, play, storytime etc. You can book as many or as few days of aftercare as you wish. 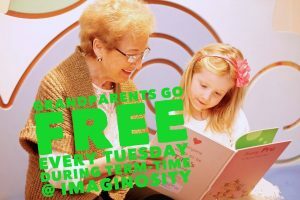 Join the Imaginosity Funstigator Team this Easter holidays for ‘Hop-A-Long Easter Camp’ and explore the very best Imaginosity has to offer with different daily themes and fun-packed activities. 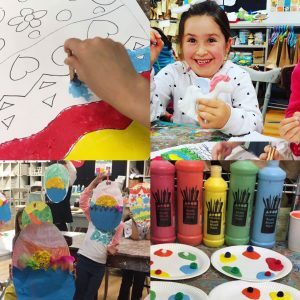 Camp will run from Monday 15th – Friday 19th April and campers will explore topics including; Science, Engineering, Drama & Movement, Art and much much more, alongside daily supervised play in Ireland’s only interactive children’s museum. 🌼 Slots : 10am -12pm, 12.30pm – 2.30pm & 3pm – 6pm. Join us this Easter for a fun filled day out celebrating the opening of our brand new area at the farm and say hello to all our new arrivals along with some very special guests!! 🌼Face Painting and much more!! 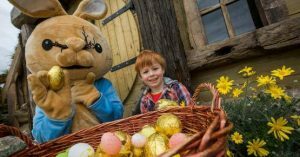 Easter Bunny and the Cheeky Chicks will be hopping about the mazes entertaining all the kids, and helping to find eggs for the well behaved. 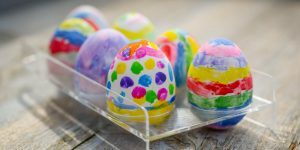 Crack the clues and solve the puzzles to find the middle of the maze where the Easter Bunny will give you a chocolate reward. Find the special golden eggs and claim a big Easter Egg prize. Face Painting from 12pm to 5pm will be available to entertain the tots in the craft shop and/or tea rooms. Calling all budding writers and artists! 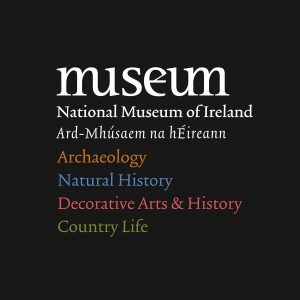 Join us for part of our Easter programme at EPIC the Irish Emigration Museum as we explore the Irish legend of the Púca with a series of fun activities. A mischievous shapeshifter, the Púca often appears as a rabbit or hare to teach humans a lesson or two! Event will last for 1 hour and is suitable for children aged 8 – 13 years. Children must be accompanied by a parent/guardian at all times during the event. 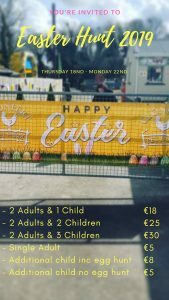 Tickets for the Easter Egg Hunt are €5 per child to include a chocolate surprise and fun, egg-citing egg hunt. Tickets bought on the day only. For more information contact info@wellshouse.ie Entry per car applies. As part of Earth Day’s ‘Protect Our Species’ campaign, come along to the Children’s Education Garden and plant some bee-friendly seeds in recycled pots. Bring them home and plant in your own garden to feed bees, butterflies and other pollinators! Join the Imaginosity Funstigator Team this Easter holidays as our ever popular ‘Slimy Science Camp’ returns! 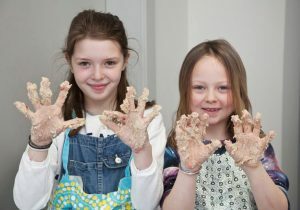 Camp will run from Monday 22nd- Friday 26th April and campers will get ‘hands-on’ as they explore the wonderful world of Slimy Science at Ireland’s only interactive children’s museum. 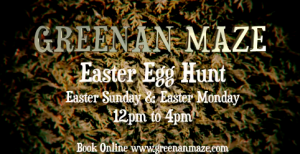 The perfect Easter holiday activity! 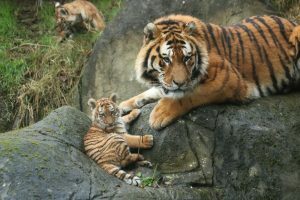 Our one-day Easter workshops promise a fun and engaging animal-tastic experience at Dublin Zoo for 6-12 year olds! Learn about our animals and native species as while visiting the Zoo, and make new friends! Celebrate a special occasion with a gorgeous afternoon tea at Airfield Estate. Our 2019 dates are now available to book, taking place the last Sunday of each month from March – September. 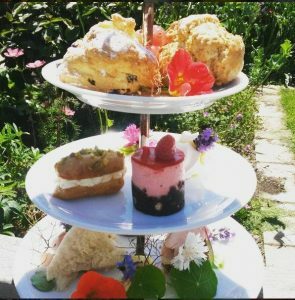 Who doesn’t love afternoon tea..
Mother’s day falls on Sunday 31st March so why not treat mum to a treat this year with Afternoon Tea at Airfield Estate!